Two disturbing news items that appeared in the press last week portended that the Monetary Board of the Central Bank was fast losing its powers as well as its independence. Both had emanated from two recent measures reported to have been taken by the Ministry of Finance. One was about a proposal by the Ministry to establish a national payments gateway outside the Central Bank (available here and here ). The other was about the formation of an advisory group within the Ministry to assess the solvency levels of banking and financial institutions. Both these functions are preserves of the Monetary Board, assigned to it by law, to be implemented through its operational arm, the Central Bank. Hence, any encroachment of these powers by the Executive is against the wishes of the Legislature which has specifically created a central bank with a purpose. Furthermore, it is totally contrary to the pledge made by the Prime Minister in his economic policy statement presented to Parliament in November 2015. In that policy statement, the Prime Minister assured that his Government would introduce necessary legislation to make the operations of the Central Bank free from outside interference. Exter has also noted that “many governments have learned to value and to use the sort of independent and objective advice on monetary and other aspects of economic policy which central banks have been able to give,” (p 12). 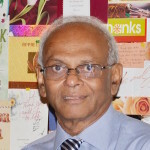 Later, the Central Bank’s independence, objectivity and apolitical advice were valued by Finance Minister N.M. Perera, despite his leftist origin and inclination for state power, when he addressed the senior officers of the bank in 1971. The Prime Minister has, therefore, gone even beyond John Exter. He has vowed, as it should be, to make the Central Bank more independent. Against this background, it now appears that two important functions of the Central Bank are going to be acquired by the Ministry of Finance. But these functions have been assigned to the Central Bank by four different but interrelated legislations, namely, the Monetary Law Act, Banking Act, Finance Business Act and the Payments and Settlement Act. There is a good reason for Parliament to assign these functions to the Central Bank. That is, the Central Bank being an autonomous institution can carry out these functions better than a government department or a ministry. Government departments function under political authorities and therefore, they are unlikely to do their job objectively and impartially. Furthermore, the Central Bank has already developed a nucleus of staff capable of performing these functions effectively and efficiently. In the case of the national payments system, it has already invested sufficiently in the needed digital infrastructure. Hence, as approved by Parliament, the Central Bank has been carrying out these functions by using its skilled staff and digital infrastructure. There are of course allegations against the Central Bank for being a political arm of the party in power in the last ten years or so. But the corrective measure does not lie in handing over the functions of the Bank to the Ministry of Finance. It lies in making the bank more independent, free of politics, as pledged by the Prime Minister. The Central Bank introduced an advanced digital payment system in 2004 under its modernisation project implemented through 2000-05. That payment system, known as Real Time Gross Settlement System or RTGS, is owned and operated by the Central Bank. The Central Bank’s leadership in this enterprise is essential since it can function as the ‘settlement agent’ of transactions effectively, efficiently and speedily. The job of a settlement agent is threefold. First, the settlement agent has to effect payments among banks. Since the Central Bank maintains the accounts of all commercial banks, it can make these payments just by debiting the account of the paying bank and crediting the account of the recipient bank. A commercial bank or another agency is unlikely to perform this job effectively, efficiently and speedily. Second, the settlement agent should be able to provide liquid funds to a bank which is short of funds. In this respect, the Central Bank can provide swift liquidity funding either through a Reverse REPO transaction or under its ‘lender of the last resort’ window. Such quick lending cannot be effected by another agency or even a commercial bank on the required scale as a central bank. Third, the settlement agent has to assure payments so that the financial system and, hence, the economy can function smoothly. This has two essential components. One is the introduction of measures to mitigate risks involved in payments. The other is the introduction of necessary audit trails to prevent frauds. However, these two functions can be carried out by any agency, not necessarily by a central bank. Yet, in that respect, central banks are better placed in providing those services to the economy with their built-in risk management and auditing systems. Under the modernisation project, the Central Bank created a new agency for clearing cheques and operating a nationwide payment system. This agency, known as the LankaClear, was the successor to the Bank’s previously owned Automated Clearing House. The Central Bank, having transferred the assets of the Automated Clearing House which needed substantial upgrading to LankaClear, got commercial banks to subscribe to its capital so that it is operated by banks under the supervision and part ownership of the Central Bank. Since then, LankaClear has upgraded its systems, introduced an online cheque clearing system through the submission of cheque images, and improved its Sri Lanka Interbank Payments Systems or SLIPS, an offline digital payments system. To cut the costs of infrastructure investments and provide a more efficient service to bank customers, it is now in the process of introducing a system of sharing Automated Teller Machine or ATM system of banks. It is the LankaClear which is best-placed as the agency for operating a national payments system. It is in this background that the Ministry of Finance has, together with the Information and Communication Agency or ICTA, ventured into introducing a national payment system. The Ministry has a special interest in a well functioning and less costly national payment system. That is because such a system would facilitate the collection of taxes and other levies by revenue collection agencies of the government. The present tax collection system is inefficient and inconvenient because it involves making payments either in cash or by cheque. Hence, undoubtedly, the biggest beneficiary of a national payment system is the Ministry of Finance. As such, no one can find fault with the Ministry of Finance for initiating action to set up a national payment system. However, it can be faulted for making a wrong move in setting up a national payment system outside the leadership of the Central Bank. Hence, it is suggested that the Monetary Board on behalf of the Central Bank should be made the leader of setting up a national payment system in collaboration with LankaClear. In this connection, ICTA can provide the necessary technical expertise to both the Central Bank and LankaClear. In another move, the Ministry of Finance has set up an advisory group on bank regulation under a retired Deputy Governor of the Central Bank. The newspaper report referring to above says that the Ministry of Finance is planning to rate financial institutions and attach to them a rating based on colour coding like the coding used in traffic lights on the road. Accordingly, good commercial banks are given ‘green coding’, while those in emerging risk category are given the colour coding of ‘amber’. Finally, the hopeless cases would be given ‘red coding’. At present, all commercial banks and other financial institutions are subject to rating by rating companies. Such ratings are released to the public domain to facilitate investors and depositors to make informed judgments. Hence, there is nothing new in what the Ministry of Finance is planning to do at the present juncture. As such, the current move may be the first step of the Ministry of Finance to take the bank supervision function away from the Central Bank. The function of regulating and supervising banks had been traditionally assigned to central banks. However, in 1990s, there was a rush to take the bank supervision function away from central banks and hand over it to a separate financial system authority. Leadership to this new system was given by Germany which had set up a separate federal agency to carry out the bank supervision and regulation part. There was reason for Germany to do so because it had been very badly hit by hyperinflation during 1920s, inflation running at around one million percent per annum. Frightened by this dreadful experience, the German leaders did not want to do anything that would interfere with their central bank’s attempt at killing inflation. Thus, Bundesbank, Germany’s central bank, was made independent, charged with only the inflation fighting objective which it has to achieve whatever the ground conditions prevailing in the country. Accordingly, the function of supervising and regulating banks was handed to a separate authority which was colloquially known as BAKred. This German example was followed by the UK many decades later when it separated the supervision and regulation of banks from the Bank of England and set up a separate authority called The Financial Services Authority or FSA in 1998. After the East Asian financial and banking crisis of 1997-98, many countries in East Asia and the Pacific followed the British example and separated the bank supervision and regulation from their central banks. Australia (1998), South Korea (1999) Japan (2000), China (2003) and Taiwan (2004) are examples. Pressure was exerted on the Central Bank too in late 1990s that it should shed its bank supervision function in favour of another governmental authority in the style of UK’s Financial Services Authority. Though the UK went ahead with separating the bank supervision function from the Bank of England in 1998, the financial crisis of 2007-8 pointed very strongly to the fact that an outside financial services authority cannot function fast enough to save a financial system like a central bank when it is hit by a major crisis. If support is to be given to an ailing bank to prevent it from collapsing, a financial services authority has to secure funds from the government by following the due budgetary processes. This takes time and an ailing financial system cannot wait for such a long time to get the support. A central bank does not have these financial constraints since it can always fund an ailing bank just by making book entries without having to go through the government’s budgetary processes. Hence, a central bank, unlike a financial services authority, can act fast enough to save a collapsing bank and prevent a general financial system failure. This wisdom made the UK revisit its earlier decision to have a separate financial services authority to regulate and supervise financial institutions in the country. The result was the abolition of the Financial Services Authority in 2012 and the establishment of two separate supervision outfits in April 2013 called the Financial Conduct Authority to regulate financial services and Prudential Regulation Authority to regulate banking and insurance institutions. The latter authority was placed under the direction of the Bank of England by establishing it as a company wholly owned by the Bank. In this manner, the function of regulating and supervising the banking institutions was returned to the Bank of England after 15 years of unsuccessful experimentation. Though it is a separate company, it has a close relationship with the other arms and organs of the Bank of England, namely, the Financial Policy Committee that decides on the policies relating to the UK financial system and the Special Resolution Unit that has been charged with the function of finding suitable solutions for ailing financial institutions. Its Board, which is accountable to the Parliament, consists of senior Bank of England officers including the Governor who is the ex-officio Chairman and some independent directors appointed from outside the Bank. Today, two aspects of financial system stability have to be handled by a central bank. The first is to introduce a system to ensure the overall financial system stability, known as macroprudential regulation of the financial system. In this exercise, a central bank does not worry itself about the soundness of a particular financial institution but the soundness of the overall system. If a particular financial institution which has no impact on the rest of the system is in trouble, macroprudential regulatory tactics do not warrant a central bank to intervene and save the financial institution in trouble. A Central Bank may very well allow such non-systemic financial institutions to close doors and thereby set an example for other financial institutions to follow. This tactic is known as ‘weeding out’ of viral financial institutions to save the whole system. The second is the implementation of the microprudential supervision and regulation of financial institutions. In this exercise, a central bank will examine, supervise and regulate individual financial institutions within the country. If a particular financial institution is in trouble, the central bank will take appropriate measures to put it into a proper shape. Since the financial system consists of individual financial institutions, the safety of each one of them will help central banks to ensure the safety of the whole financial system. What is being attempted by the Ministry of Finance is to first take over the microprudential part and then the macroprudential part. They have not got funds, skills or a resolution strategy. Both the Ministry of Finance and the Advisory Group are poorly fitted for the job. It also passes an unwanted responsibility on taxpayers. That is, it tacitly accepts that the responsibility for bailing out an ill-performing financial institution rests with taxpayers, which amounts to ‘privatising profits and socialising losses’. It is not clear why the Ministry of Finance wants to jump into this bottomless pit. The general consensus today is that a central bank should handle the financial system stability function rather than handing it to a separate outside authority. Hence, the move by the Ministry of Finance to set up a parallel agency in the Ministry to undertake bank supervision is unwarranted. Thank you for your informative article that serves as a warning. We the general public should look at the Central Bank taking its past performance. Finance company CIFL. Finance Ministry and the general public is aware of the untold misery caused to the depositors. Golden Key depositors lost 59% of their deposits. Some committed suicide unable to bear the loss. We now know how the Central Bank got involved in EPF ETF investments in the stock market making colossal losses to members, Common Wealth Games bid and appointment of public relations agents In USA areas not coming under their purview. Large funds were collected from the Banks and Corporates for games bid which have not been accounted for so far. The only document we have seen in support of expenses is the past Governor dancing away in Barbados. Being guided buy the behavior of the immediate past Governor it could be considered that the CBSL is partly responsible for sacrificing its independence for political expediency. In the circumstances it is advisable to take some corrective action. So…. there will be no more the likes of mrs. seneviratne’s to save the CB & SL. Guess too much power to the CB, and it might be tempted to use all its expertise to macromize with certain regional banks. And the larger it gets, the greater the risk of the hyper-inflation like Germany in 1920’s, due to over-ambition of elite over the needs of the common masses. Tempering its control by Finance ministry and associated advisory board, will keep things in check and balance, even if the efficiency is compromised a bit. We also have our sovereignty at stake at this current time. All in all we can reasonably argue that Central Bank has failed the country by its activity or inactivity in times of need. Take their annual reports issued since its inception in 1950 its stereo type format the same over the years mostly only the figures change. Change is the only thing that’s not changing Einstein said. From the collapse of Saraboomi Investments in late 70s through Golden Key to CIFL we don’t see any corrective action taken by them to avoid a repetition. Many a Directors of Bank Supervision responsible for the debacles are still working or enjoying fat pensions having escaped scot free while depositors suffer. It is better for the Central Bankers to take corrective action while in service and keep the Horses gated..
what about for all the failed finance companies the central banks NBFI supervision dept failed to pick up on. Why does now the finance ministry have to pick up the tab ? If the central bank had prevented the failures of these companies and other scams there would be no need for another supervision dept. With all due respect to Mr. Weerakoon A Wijewardena i guess it is ICTA fault of not having communicated to the public of what National Payment Platform (NPP) is all about in detail and its features. It is a lack of communication on the part of ICTA. Let me give a brief of what NPP is and as to why ICTA is developing it. NPP is a switching platform that delivers Digital transaction/messages from a person using an ICT device to a bank or a merchant. 1. The Digital message can be a query to find out from a merchant software system the outstanding balance for a particular invoice number or account of the person making the request. 2. The Digital Transactions/message can be sent from a person using the ICT Device to send a Digital instruction to the Financial institution to carry out a particular activity from his/her account. 3. The Financial institution then can accept or reject the Digital Instruction after it verify the transactions authenticity by carrying out its internal verification processes. 4. The Financial Institution can also send Digital Transaction/Message to the person with the ICT device confirming the completion of the instruction. The Digital Transaction/message can also be sent by the Financial Institution to the merchant to update their software systems or the Person with an Application confirming the instruction. To conclude NPP is just a software router like any other telecom router to route the traffic to the respective party. NPP is a similar platform to that of VISA/Master Card/American Express switch. However NPP has greater features to query from merchants software systems. NPP does not do inter-bank transactions, it is a platform that will be operated under the electronic transaction act to carry digital transaction/messages sent by an individual who uses a software application to another person or business who has a connection to the internet and an application which can receive the Digital Transaction or Message. The processing of the received Digital Transaction/message is purely at the discretion of the recipient. ICTA has the legal mandate to carry out the above activity. ICTA is facilitating Citizens with the ease of Digital Commerce. Enhancing eCommerce and also further enhancing technology companies to build innovative Fintec products and services that can be consumed by citizens, business and mostly financial institutions. The world has changed drastically especially in the last 5 years and it is important for Sri Lanka to move with the rest of the world, leaving behind the old petty minded, operating in silos and having territorial mindsets. Todays world is about collaboration and team working. All institutions of government and the private sector must work together in order to bring about innovation for citizens to obtain service from their fingertips using ICT devices.